For decades, the Danish heritage brand Vola has relied on quality, a timeless design and on further refining the designs of Arne Jacobsen. The company does not seek to impress with a spectacular appearance as it has always made true quality paired with innovation its utmost priority. 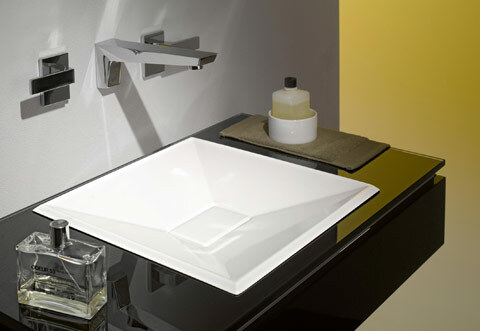 At Vola, the spectacular is often a matter of the details. 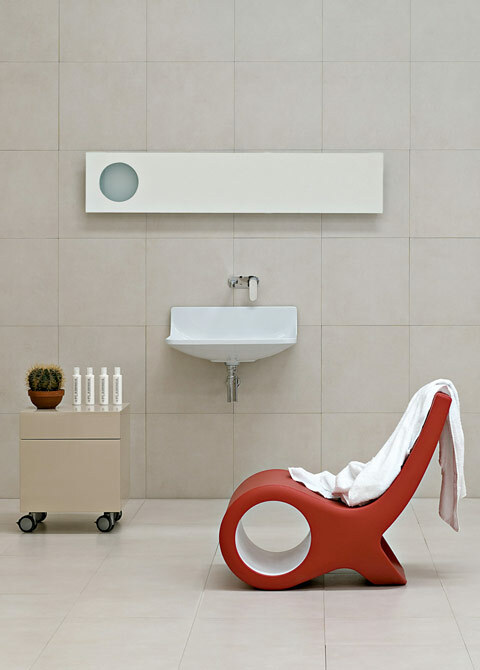 With regard to technology and design, the "T39" towel rail showcased at ISH is a small revolution indeed. 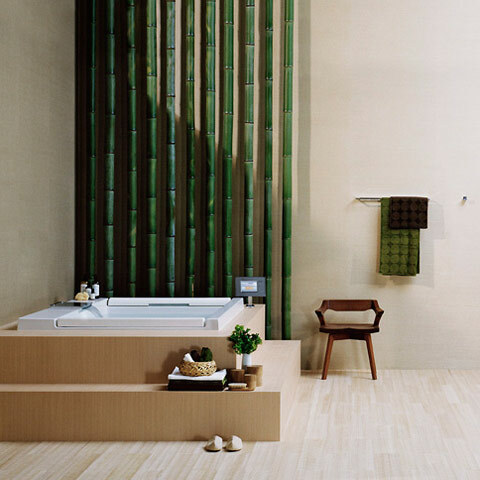 A modular built-in system that conceals all technical details in the wall, the "T39" is designed as a flexible system of heating elements that achieves enormous freedom in bathroom design. 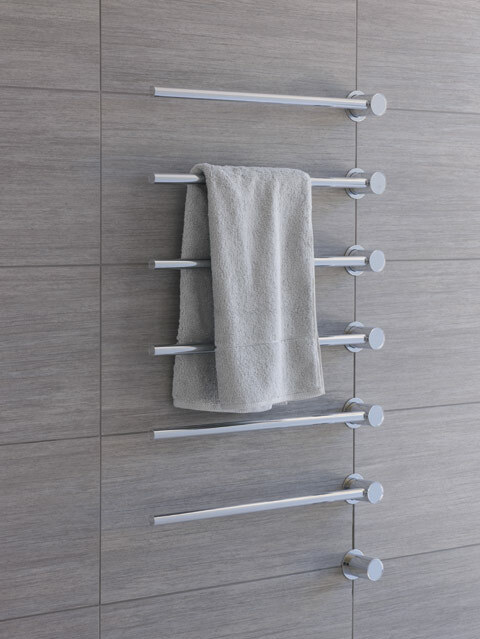 A towel rail that combines technical innovation and sculptural design in a single element. Add to this the free-standing "FS3" shower faucet with thermostat, also designed by Aarhus Arkitekterne A/S - like a natural rain shower the water comes rushing towards the spectator. 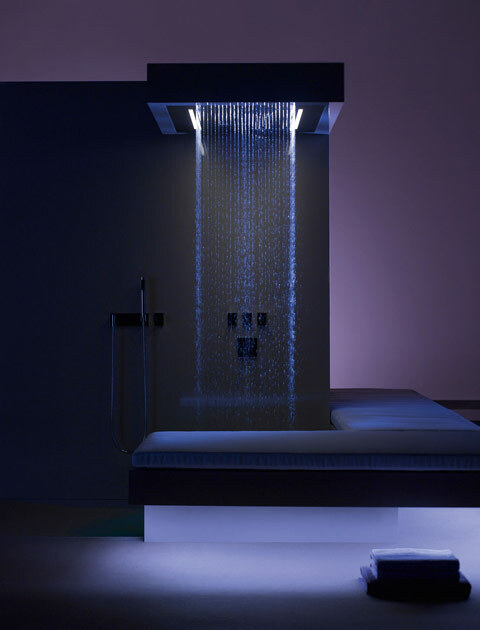 Vola successfully relies on the interaction of tradition and innovation - a promising concept. Kos/Zucchetti, the two Italian manufacturers, have recently merged to form one company and the marriage will open up a variety of opportunities. After several years of development, the new "Faraway" collection by designer duo Ludovica + Roberto Palomba was showcased at ISH. 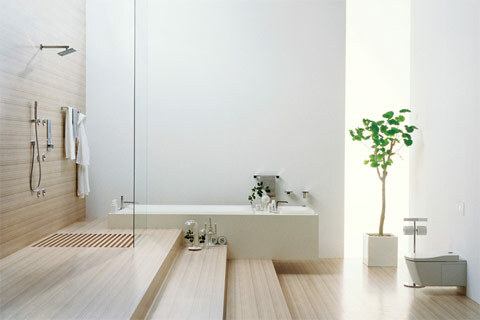 Bathtubs, basins, bathroom furniture, accessories and faucets - all from a single design source. 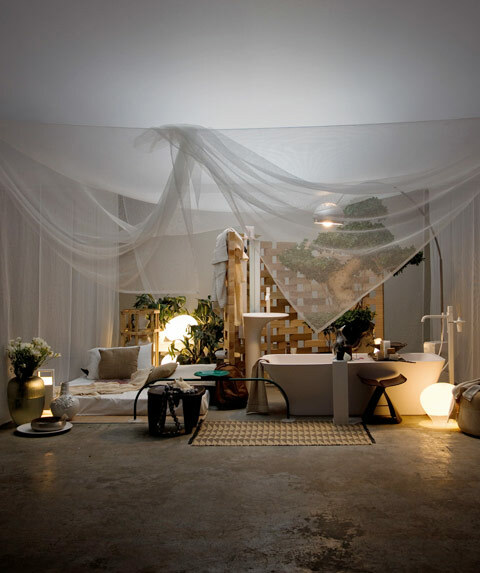 With their usual sense of style and emotionality, the Palombas created a cozy new "bathroom world", complete with "Faraway Pool", a private spa. With their new joint concept, Kos/Zucchetti seem well-prepared for the times ahead. 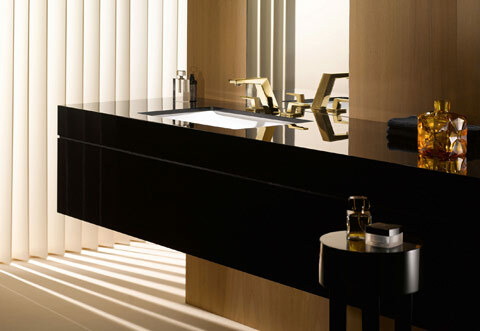 Founded in 1896, the long-standing Alape company from Goslar, which has been part of the Dornbracht group since 2001, had a range of new and innovative products in store. The new "Crystalline" line, capturing crystalline shapes in nature and translating them into slender geometric forms, was showcased at ISH. 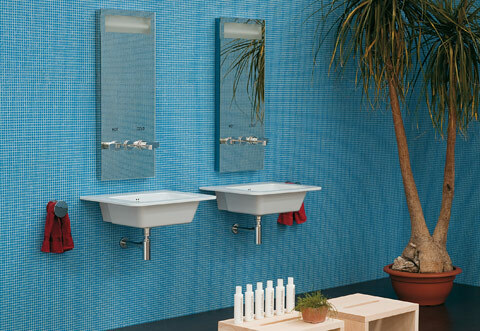 The design of the basins revives the enameled steel as a prime material - Alape is expert in using the material - in a most impressive way. "Particularly in times like these, the core competencies at Alape are bearing fruit: core expertise and basic knowledge, depth, and the right balance between manufacturing tradition and competence of innovation. 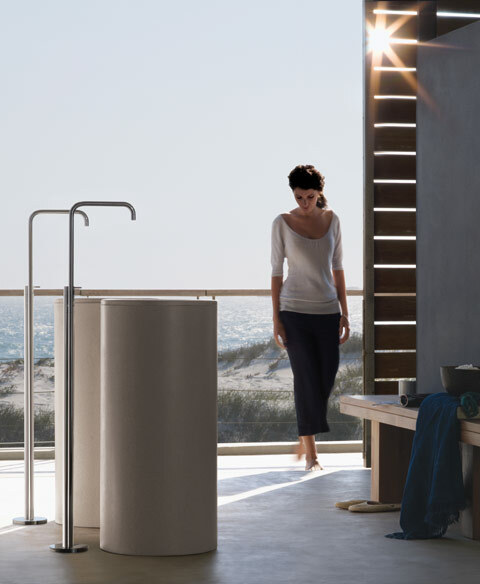 The fact that we closely collaborate with our parent company Dornbracht certainly creates synergies that are evident in ‘Crystalline', for example, which we are showcasing here together with Dornbracht's ‘Supernova'," Carsten Müller, CEO at Alape, states, describing the corporate strategy. Anyone who has visited the Alape production location will not only understand but confirm this statement. 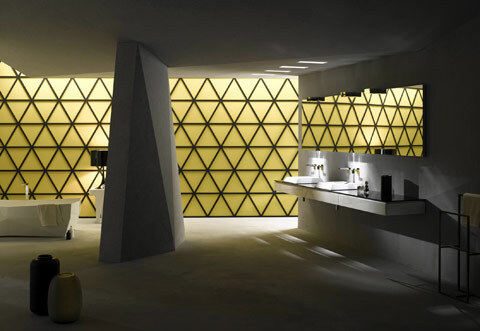 At ISH, Dornbracht celebrated its premiere of the "Supernova" line designed by Sieger - with a spectacular fair stand created by none other than Mike Meiré. 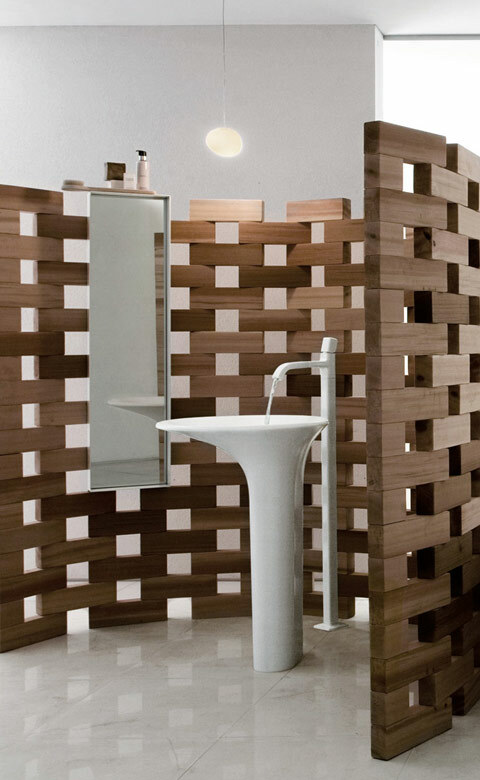 The sculptural quality of the faucet provides a starting point for a new form of bathroom architecture. 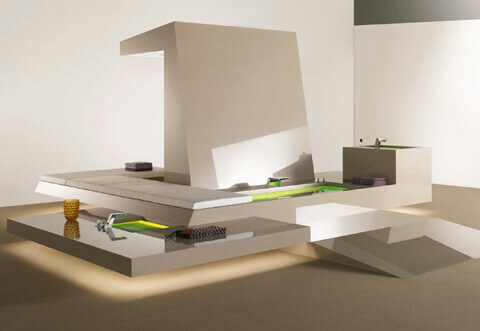 It defines all functions and zones of the bathroom as an island concept by locating them in the middle of the room. Because the mirroring effect is an essential feature of the design, the faucet range exclusively comes with a glossy finish. 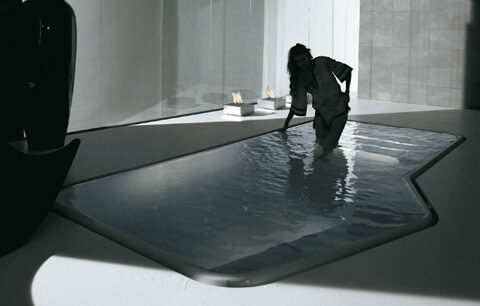 Following this appearance, there certainly is nothing to worry about at Dornbracht. 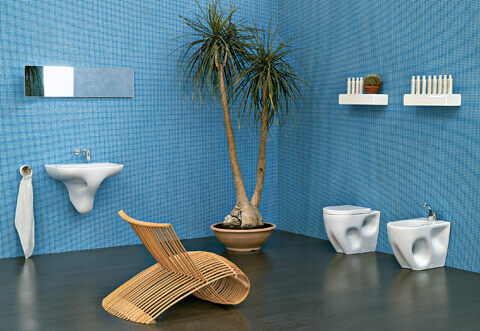 In recent years, the Turkish manufacturer VitrA Bathroom Culture with the misleading name has firmly positioned itself in the high-end segment. 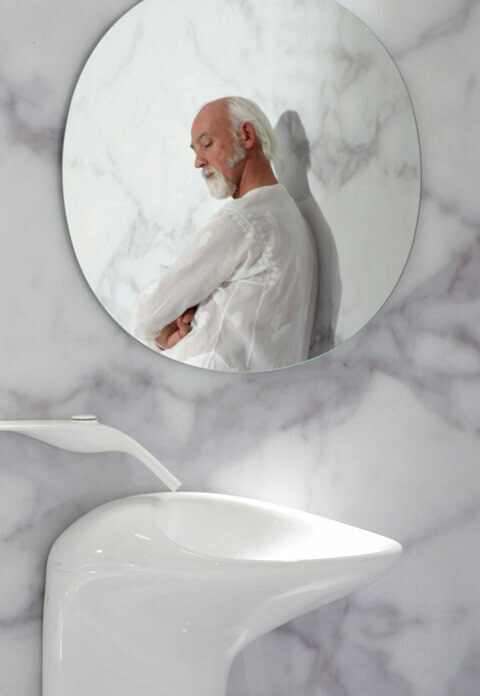 A fact that can certainly be attributed to working with Ross Lovegrove, star designer from Wales - a collaboration that hit yet another new peak at ISH. 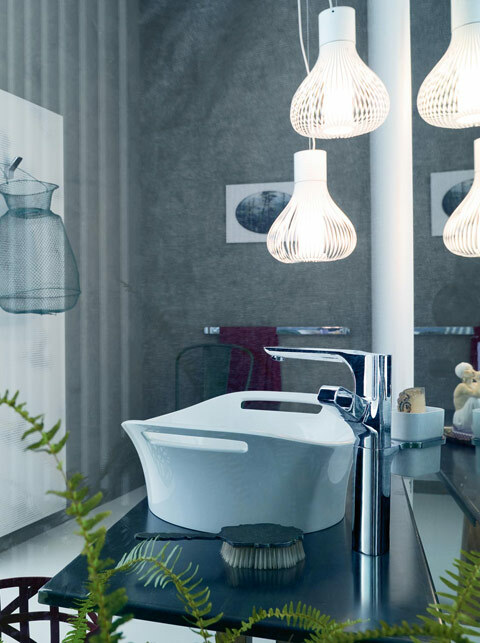 The new "Freedom" collection - unmistakably "Lovegrove" with its organic and curved shapes - aims to create an atmosphere in the bathroom that is far removed from mundane, everyday living. 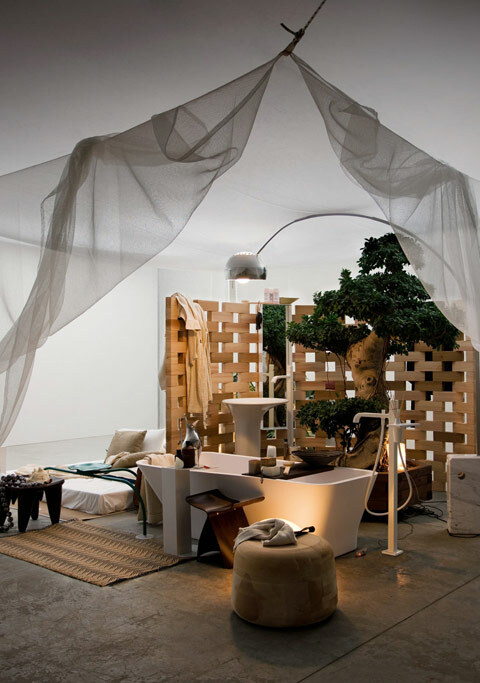 Relaxation and freedom of mind are to take centre stage, as VitrA itself puts it. 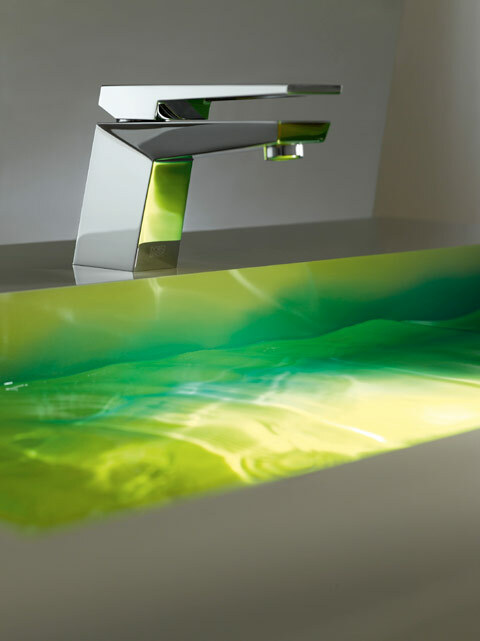 To this end, Lovegrove, with his usual obsession for detail, has completely liberated himself from shapes that commonly prevail in the bathroom, designing the faucets himself in order to create a futuristic overall concept. 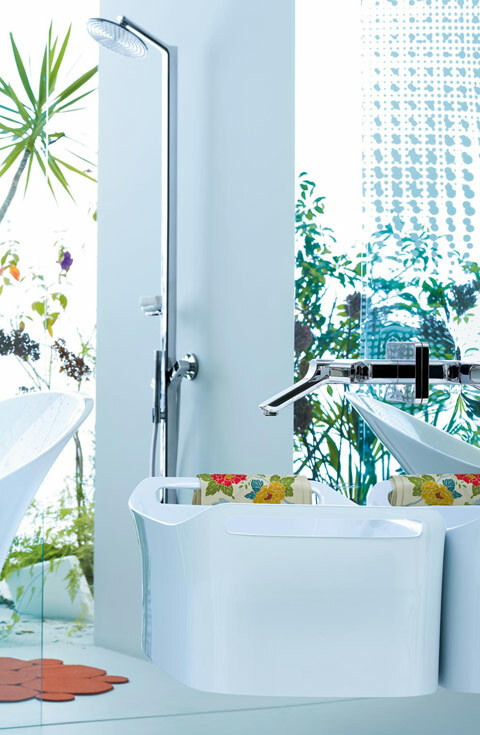 VitrA Bathroom Culture which, by the way, also offers a solid product range in addition to its extravagant Lovegrove collection, is certainly a company to be reckoned with in the future. 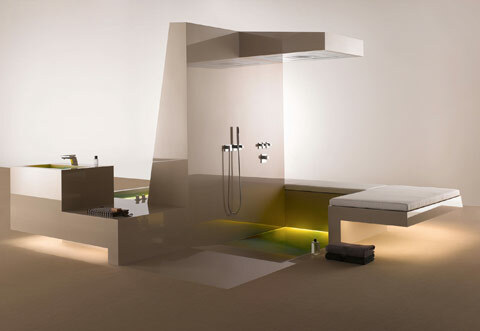 Like no other company, Axor/hansgrohe has engaged in placing the future of the bathroom firmly within the overall concept of living. 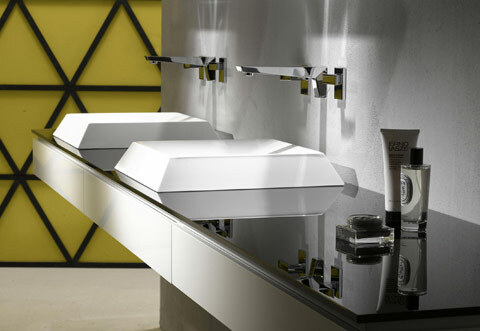 Their Axor Urquiola collection showcased at ISH, which continues the successful collaboration with Patricia Urquiola, is promoting an individual style mix in the bathroom. 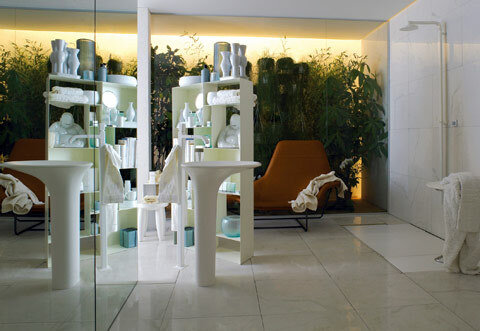 Different styles and objects are fused into something new and personal, turning the bathroom into a very individual retreating area that blurs the classical divide of bathroom and living area. A concept for the future? It remains to be seen. 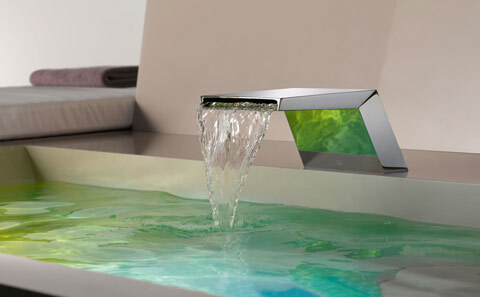 In any case, Axor/hansgrohe is leaving the gates wide open for such a development. Ceramica Flaminia, the Italian manufacturer which in recent years enhanced its profile by appointing Giulio Cappellini as its art director, showcased a range of new products from the young French designer Patrick Norguet as well as several products by Giulio Cappellini himself in a more classical trade fair appearance at ISH. The selection of examples presented here emphasize the virtues and USPs with which the companies are bracing themselves for the times ahead. For those who count on commitment to tradition, quality and manufacturing teamed with a dynamic and flexible corporate management and innovative force, long-term success is certainly on the cards.